Looking for a great tasting dish to make during the week that you can put in the oven and forget about until it's done? 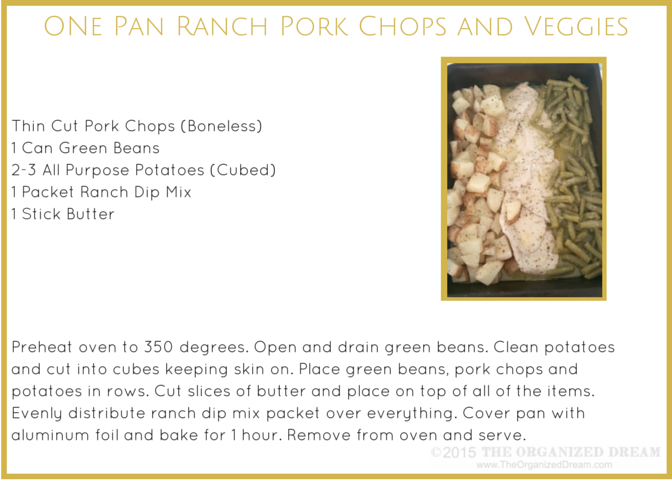 Want a recipe that leaves your pork chops ultra moist and delicious? This recipe is right up your ally! 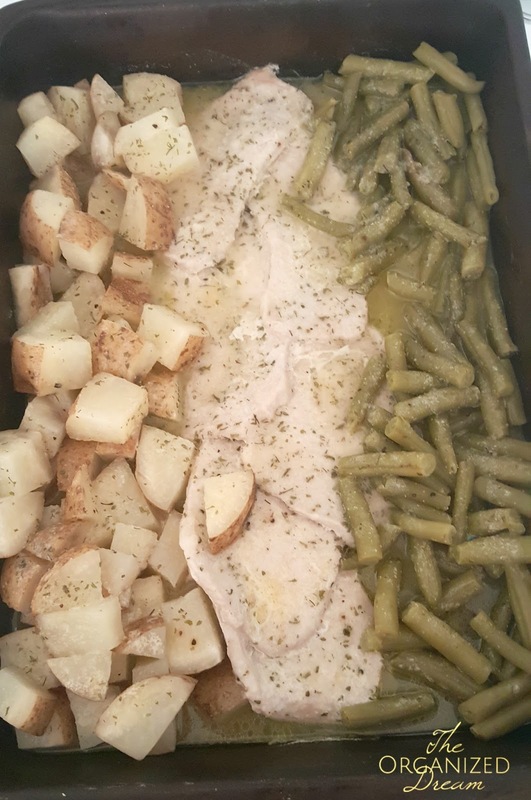 I once found a recipe on Pinterest for Italian chicken with potatoes and green beans that were made in one pan and put in the oven. I thought it sounded super easy and thought to give it a try. Since then, I've changed a few things. 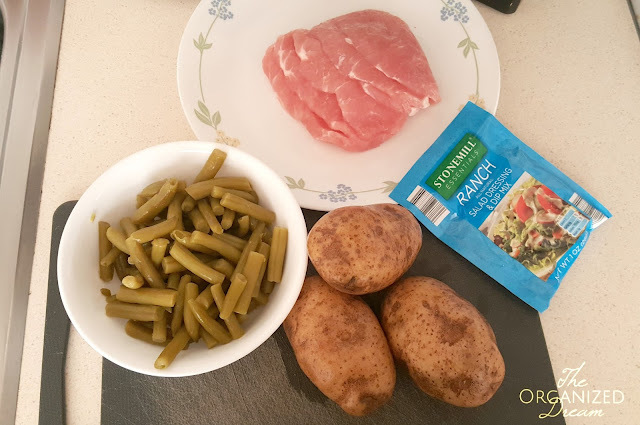 I've replaced the Italian dressing with ranch dip mix and chose to use pork chops instead of chicken. The results? The taste can't be beat and my pork chops were the most moist and delicious I've had in a really long time! Start by preheating your oven to 350 degrees. Open and drain your green bean can and set aside. Wash and cut your potatoes into cubes about the same size. 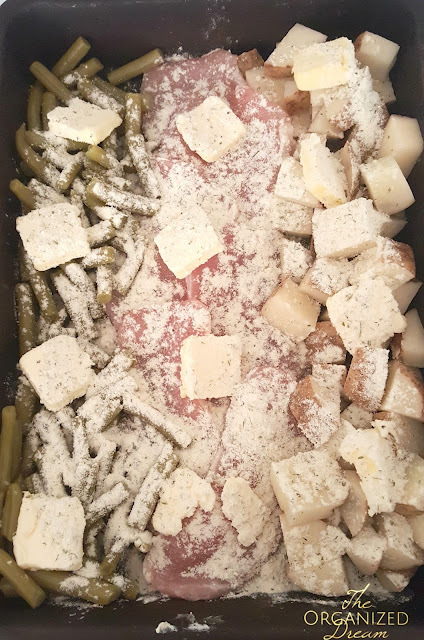 Place each item in a baking dish in a row. Add slices of butter over each item and then distribute ranch packet over everything as well. Cover the pan with aluminum foil and bake for 1 hour. Remove from the oven and serve. I'm excited to try this! 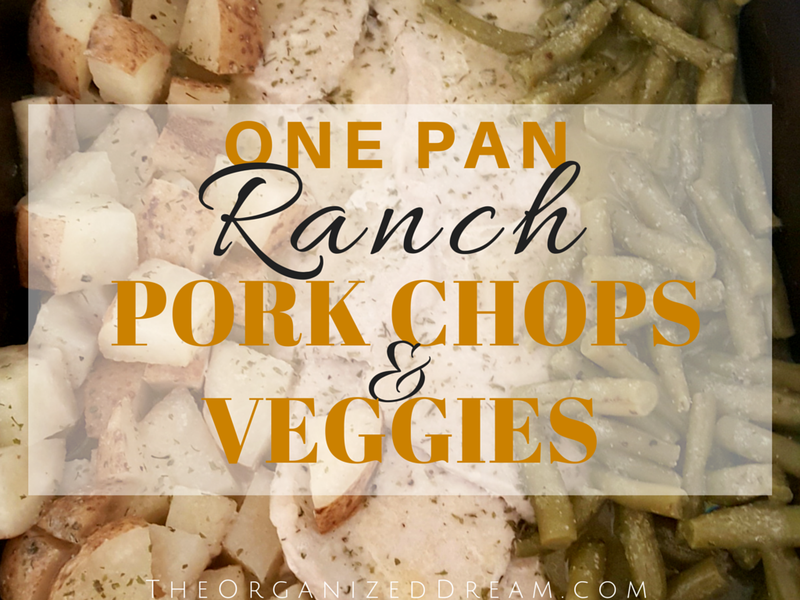 I usually pass over pork chops at the store, even when there's a good sale, because I don't have a lot of experience cooking them or an easy recipe for them. I'm going to pin this so that I can try it next time there's a good sale on pork chops. 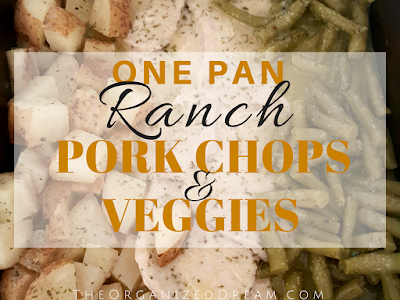 I love one pot/pan meals! I hope that they will be the best ones you've ever had! This sounds like an easy recipe to try! Maybe in a crock too! Thank you so much for linking up to Merry Monday this week! 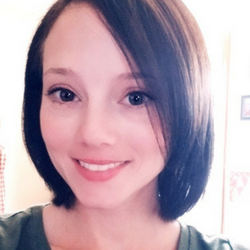 I am sharing your post today on my twitter! We hope to see you next week for another great party! Have a great week! Cooking them in the crock pot may make them even better! That's something I'll try next! This is one of those great tasting simple meals that most people enjoy! This looks so yummy! Thanks for sharing this over at Bewitchin' Projects Block Party! Hope you will join us again this week! Sounds tasty - Thanks for linking up to Pin Worthy Wednesday, I have pinned your post to the Pin Worthy Wednesday Pinterest Board. Hi Kate. This is my kind of recipe. I love one pot dishes. Saves on the cooking process and more importantly, the washing up. 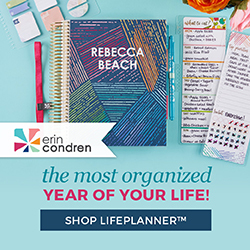 Thanks so much for linking up to Thriving on Thursdays. I'm featuring this one at tomorrow's party. Hope to see you again!